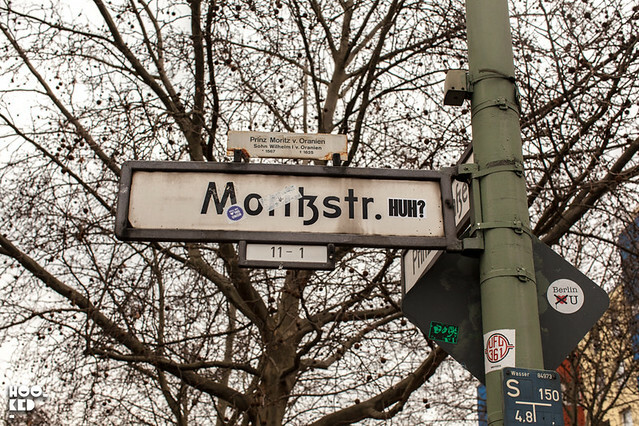 Hookedblog have been in Berlin the last few days in case you hadn't noticed enjoying the sights and sounds of the city. 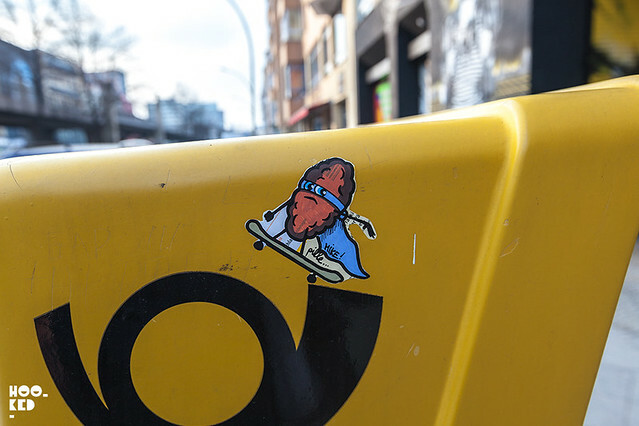 We have already shared some images of the latest Berlin mural painted as part of Urban Nation's Project M/7 in association with Brooklyn Street Art. 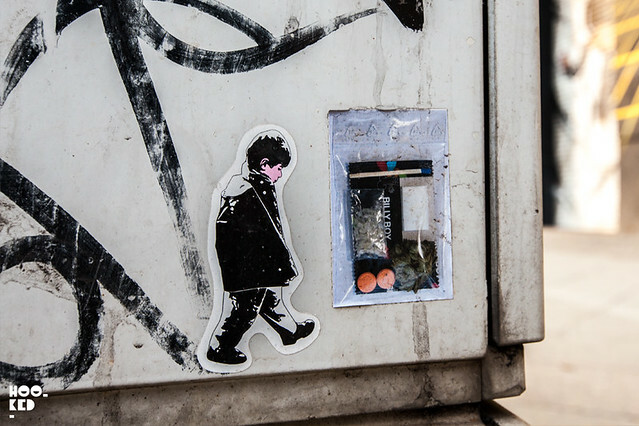 The Four story Portrait of Freedom mural was painted by Iranian duo Icy & Sot, and is their largest stencil work to date, check out our coverage here. 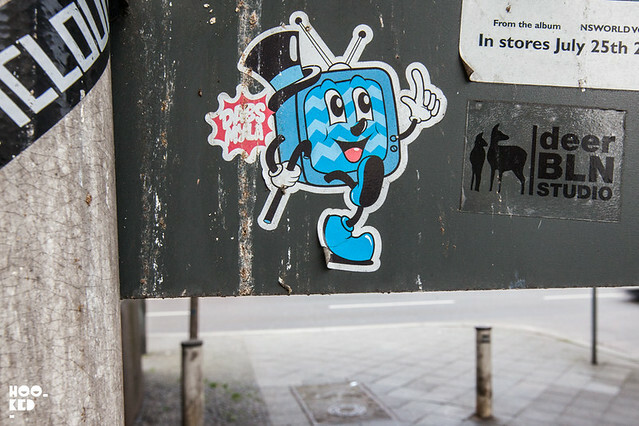 While we process the images we took at Urban Nation we have decided to share a selection of the street art stickers we captured during or visit to the city. 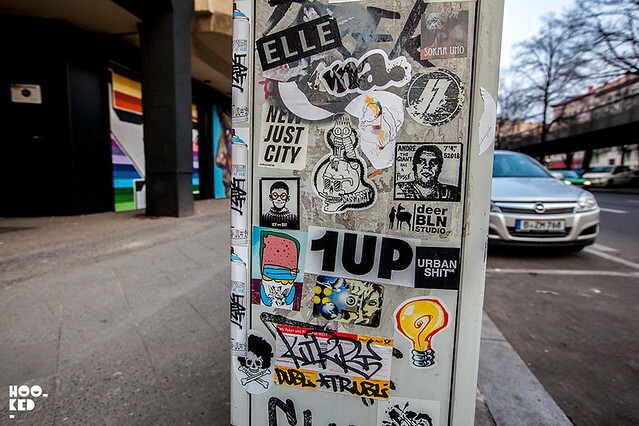 Like most major cities Berlin's street furniture is covered in stickers of all shapes and sizes, from the handmade to the super slick multi-coloured vinyl stickers. 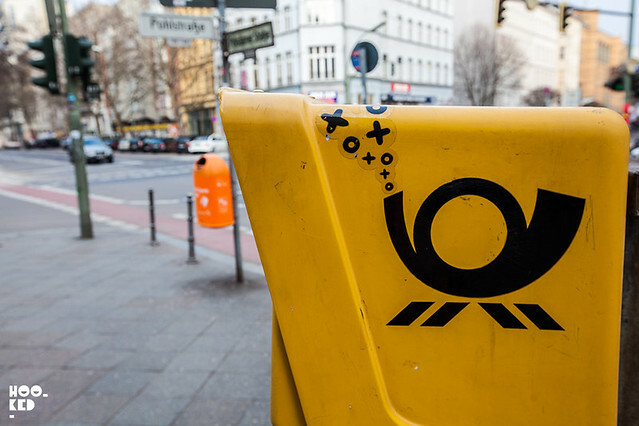 And unlike London with its anti-graffiti paint coating most street furniture, Berlin would appear not to be interested/ have the funds to remove the cities stickers. 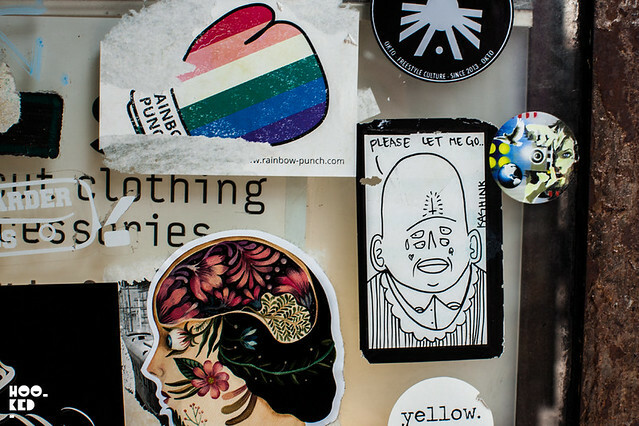 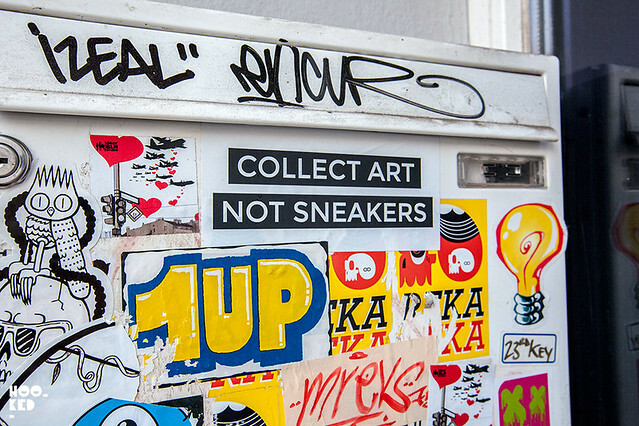 The collection of stickers we captured below highlights some of the international and local street artists passing though/ living / working and exhibiting in the city. 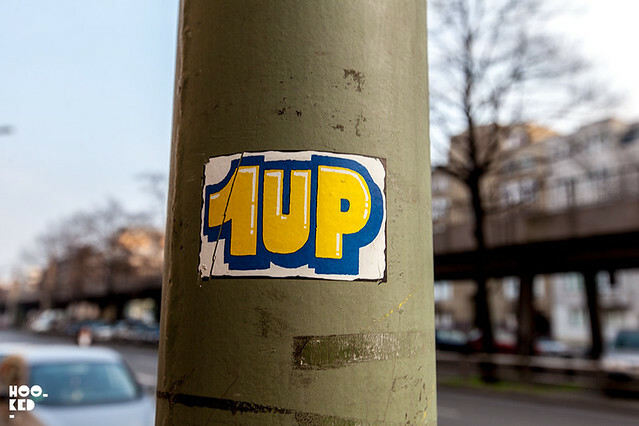 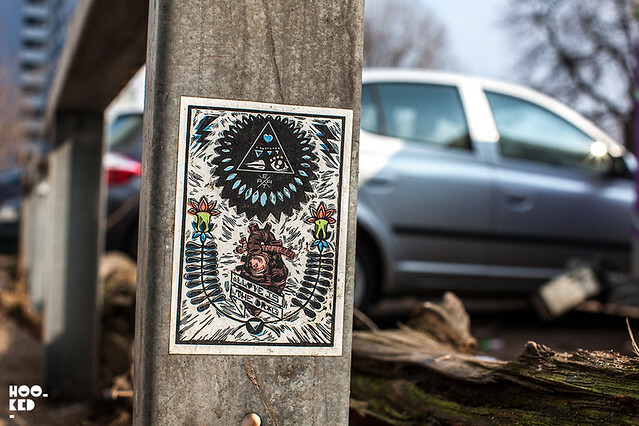 Our selection of images features stickers from 1UP, JUST, Reka, Shephard Fairey, Elle, Dscreet, Aida, Icy & Sot, Dabs & Myla, Pille, Mobstr, VNA, Mjar, Kashink, RAE and XoXoXo. 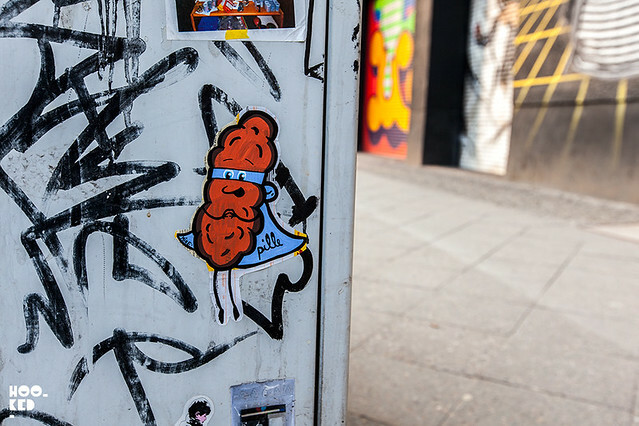 Stay tuned for more from our Berlin adventures. 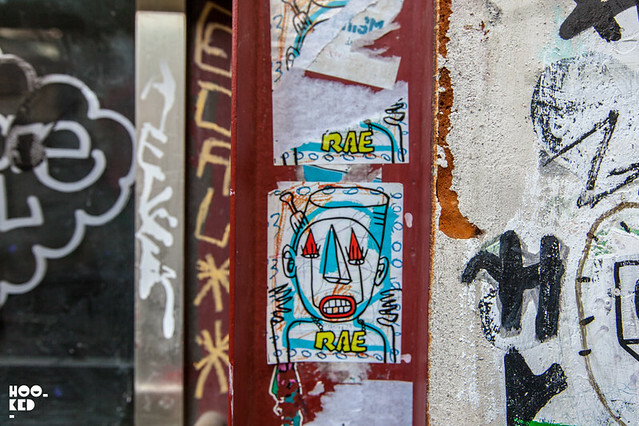 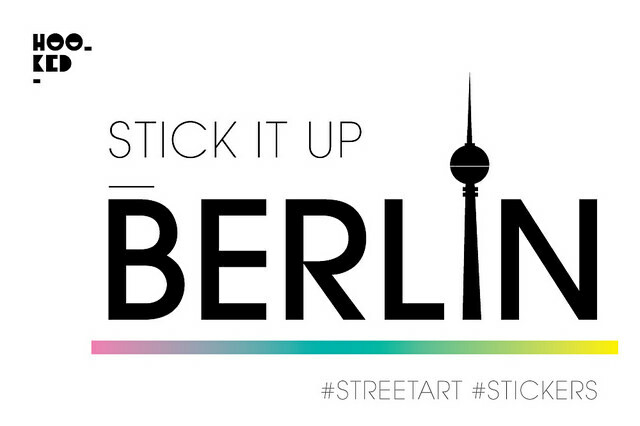 New York street artist RAE getting up in Berlin. 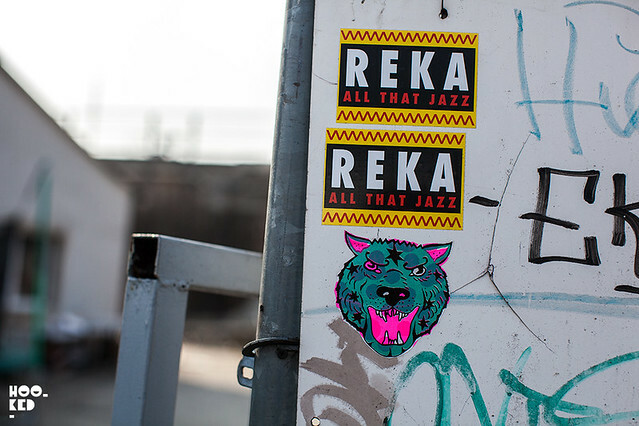 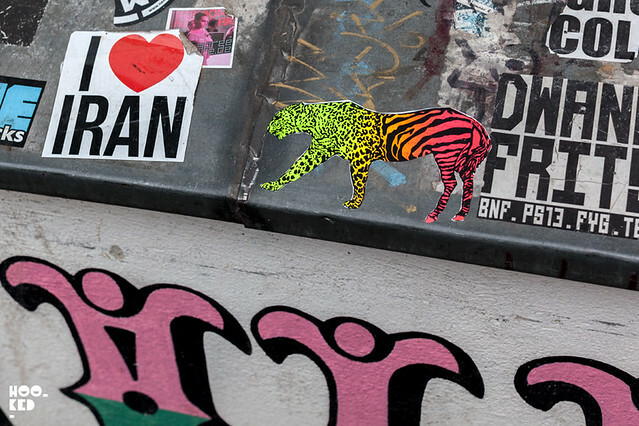 Berlin based Australian artist Reka's 'All That Jazz' stickers and UK street artist Aida's screen printed tiger stickers.